Before a farmer plants seeds, he has to prepare the ground. It’s hard for seeds to sprout and grow into healthy plants if soil is depleted or rock hard. If you’re hoping to grow some beautiful, highly producing vegetables, you must first ensure that soil is perfect for that type of plant. See, not all plants are created equal when it comes to soil needs. Some plants need acidic base; others need alkaline. Some need the soil very porous, and other do well in claylike ground. If you plant your seeds in the wrong soil type, they won’t sprout. Or if they do, they’ll die before they make it to maturity. You can liken your attitude to soil preparation to some extent. But there are other factors that go into “preparing the ground” for productivity. Many of those factors have to do with your biology and personality. Like seeds, every person is different when it comes to biology (or physiology). 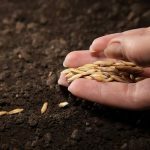 Your “soil” needs are unique, so instead of following any or all random advice from experts or author friends, you need to spend some time analyzing yourself in order to make some key decisions that will impact your productivity. We’re starting to go into the “B” in the Productivity ABCs: biology. Writers aren’t as productive as they could be is because of many factors, but some big ones involve biology, and few writers take their individual, unique biological makeup into consideration. We’ll get deeper into this in future posts, but today I want to get you thinking about this topic. For instance, if you’re a morning person (moi) and really struggle focusing on hard things at three in the afternoon (your natural nap time), and you decide to spend one hour a day—at three p.m.—working on your novel, that’s not a great idea. You’re not going to be as productive with your effort as you would if you allocated that writing time to eight a.m. This may be a no-brainer. You may already know when your brain is the sharpest, and you already try to assign time to write to take advantage of those perky gray cells. During the day, your energy fluctuates. This fluctuation is impacted by what you eat and when, how much caffeine or sugar you consume, how tired you are, how hard you work, what type of work you’re doing, how much you’re using your physical body, and a whole lot more. Sam Carpenter, in his book Work the System, coined the phrase “biological prime time.” He suggests charting our energy during the day for a few weeks. And not just noting your energy highs and lows between six a.m. and nine p.m. You want to jot down your peak times of focus and lack thereof as well as those bursts of motivation. You’d want to note when you exercise and for how long, what times you wake up and go to sleep. Basically you keep a journal with the emphasis on energy and concentration. Think about trying this. Cut out caffeine, alcohol, and all mood enhancers or depressants to get an accurate reading. Okay, no fun (maybe you’ll make it a week instead of three weeks, but go for it), but this is essential if you truly want to get a handle on your biological prime time. If you are super dependent on caffeine, wait until you’ve gotten through withdrawal before charting your energy levels (this applies to other drugs as well). Wake up and go to sleep when you naturally feel like it. Don’t set an alarm. This may not work for everyone—especially those who have to work a 9-5 job or the like. But if you can do this, do it. Record your energy levels every hour on the hour. Make some kind of chart (using Excel, a Google doc, or a scratch pad) and set an alarm on your phone or calendar program to ding you every hour. You can come up with your own system. Maybe a 1-10 scale in which 1 is nearly dead (“dragging your sorry body out of bed” kind of dead) and 10 is Superman energy (ready to leap tall buildings in a single bound). In addition to noting your energy, consider having a column(s) for motivation and/or focus. I think it’s also helpful to note at the hourly marker when and what you eat. While some may not consider sugar a factor, I sure do. So think about jotting down when you consume something sweet and how that impacts your energy. You may want to go whole hog here and cut sugar out of your diet to see how that helps you determine your biological prime time (or not). Just a suggestion. I know—giving up caffeine is torture enough. Collect the data for at least three weeks. That’s what’s recommended for best results. The more data, the more helpful, because you’ll see a stronger pattern in your energy peaks and valleys. Once you have this chart all filled out, take a look at the results. You should be able to see interesting patterns and trends in your biology. You’ll be able to schedule your writing time based on when you tend to be the most focused, when you have the most energy. To become a super-productive writer, you need to learn and understand the Productivity ABCs: all those factors involving attitude, biology, and choices. If you’ve missed the other posts, we started on the first Monday of the year. So be sure to go back and read through them. Next week, we’ll look at the adjustments you can make in your lifestyle and schedule to align more productively with your biology. Have you charted your peak times for motivation, energy, and/or attention? What have you learned about yourself in this regard that’s caused you to adjust your schedule so you achieve greater productivity? Due to high demand, I’ve gone deep into this topic in productivity, and all the blog posts you’re getting on Mondays are compiled into my new book! The book releases in paperback and ebook on MARCH 23. But if you preorder the ebook, you’ll get it for only 99 cents on release day! Regardless of whether you write fiction or nonfiction, if you want to get established as an author, you need to be productive. Highly productive. You can’t just write one terrific book and call it good, expecting that singular work to carry you atop the wave of success for years to come. Studies show readers want 3-4 books a year from their favorite authors. And to build traction and a growing audience, authors need to deliver. Preorder your ebook copy HERE. (The paperback copy won’t be up for sale until March 28). 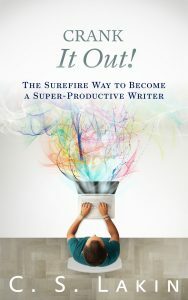 Turn your life and career around by learning the surefire way to be the super-productive author you long to be!